Looking for inspiration for your big adventure this year. Here are our ten most popular destinations, all offering a fabulous variety of cultural and scenic wonders. Nepal has captivated the imagination of mountaineers and trekkers since it opened its doors to the world in the 1950s. From the chaotic charm of its vibrant capital city, Kathmandu, to the towering Himalayan mountains Nepal is still a magnet for the adventurous traveller. Despite its many cultural and spiritual charms, it’s undoubtedly the breathtaking scenery and classic mountain treks that are Nepal’s most enduring attraction. Lush terraced farmland and river-carved valleys give way to high altitude desert plains, remote mountain passes and the summits of the highest peaks on the planet. The Everest and Annapurna regions, with their iconic mountains, well-worn trails and long-established tea house culture remain the most popular areas to visit, especially as more luxurious trekking lodges and lower altitude trails in the Annapurna foothills make the mountains more accessible for first time trekkers. However, even here it’s possible to get off-the-beaten-path and go beyond the classic Everest Base Camp Trek or the Annapurna Circuit to discover remote villages and little-known trails. For those looking for a wilder experience, Nepal has numerous options for the keen trekker with Langtang, Mustang, Ganesh Himal, Dolpo and Kangchenjunga all offering pristine mountain scenery and a culture still relatively untouched by tourism. Bhutan is no ordinary destination. It is a remarkable land still immersed in myths and legends, where modern-day developments are carefully integrated with an ancient culture, ensuring that its unique traditions are preserved whilst still embracing the outside world. One of the kingdom’s most famed attractions, the Taktsang monastery, set on the side of a 900m cliff in the Paro Valley, is a striking sight to behold and is a must see for all visitors. Following suit, many of Bhutan’s towns, however remote, have their own dzong reflecting both the deep spirituality of the country and its martial past. 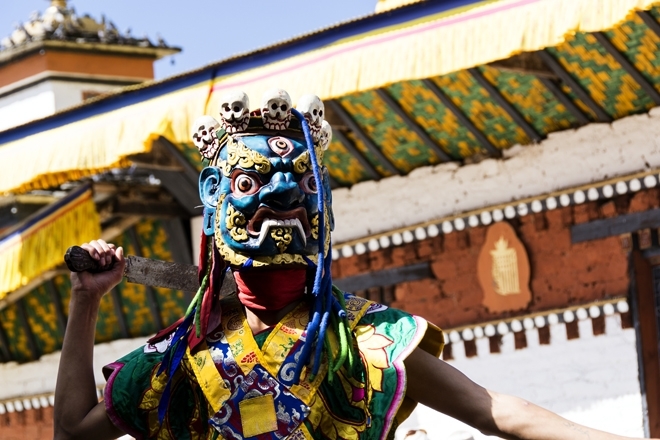 Bhutanese culture is also celebrated through vibrant and engaging festivals, where monks and locals dress in flamboyant garments and perform masked dances for their audience. With its picturesque countryside characterised by broad valleys and pretty villages, together with primeval forests and towering Himalayan peaks, Bhutan is a land best explored on foot (or even on two wheels). From gentle valley walks to epic high mountain treks, and everything in between, Bhutan can satisfy any level of walking experience or fitness. And, with the east of the country only now opening up to visitors there are still large parts of the Thunder Dragon Kingdom where you can have the trail virtually all to yourself. View all our Bhutan holidays. India is a destination packed with versatility. Whether you are looking to be taken back in time on a cultural tour, walk through verdant tea plantations, cruise along the mighty Brahmaputra River, climb a Himalayan peak or trek through high desert landscapes, India offers an incredible range of experiences. Rajasthan is the region that best evokes the colour, romance and history of India’s fascinating past. 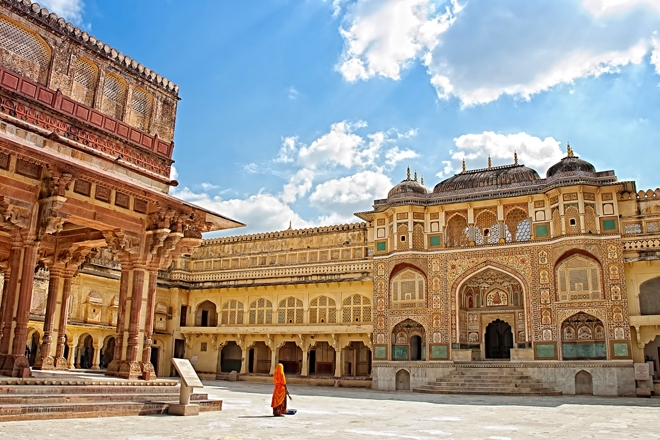 Jaisalmer, Udaipur and Jodhpur are replete with ancient forts and palaces and heritage properties – many of which you can stay in – whilst iconic Taj Mahal provides the classic Indian photo opportunity. Travel to Kerala in southern India and you’ll discover beautiful beaches, hilly tea estates, spice plantations and great wildlife viewing opportunities in the region’s national parks where you may even see a tiger! This region is just perfect for a walking holiday. Alternatively travel north to the Indian Himalaya and there’s no end to the opportunities for superb trekking. You can either follow a classic trail such as the Markha Valley trek or Singalila Ridge, trek in the shadow of the world’s second highest peak, Kangchenjunga, or venture into the dramatic desert landscapes of Zanskar and Ladakh. Whichever you choose, you’ll find a land of unsurpassed beauty and rich cultural interest. View all our holidays in India. 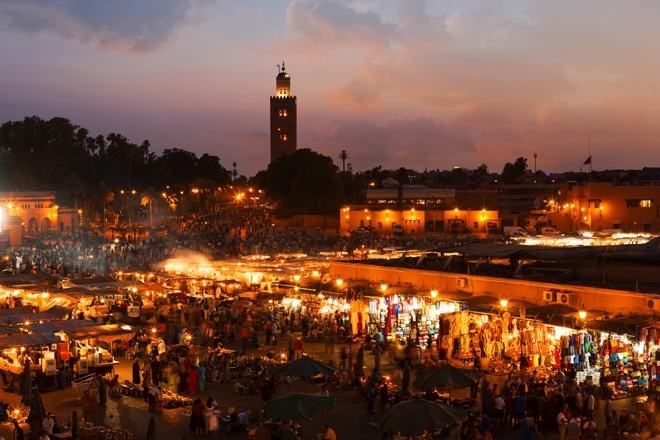 Most trips to Morocco begin with a visit to its capital city, Marrakesh. Here you can explore the famous squares and souks and get lost in a maze of alleyways, with their sparkle of souvenirs and the smells and taste of traditional Moroccan street food. Away from the hustle and bustle of the city, the High Atlas Mountains offer exciting challenges for trekkers. No more so than Jebel Toubkal, Morocco’s highest mountain. An ascent of Toubkal can either be achieved on an excellent week-long trek or you can take your time and discover some of the Berber villages that dot the valleys and foothills of the Atlas Mountains. Beyond Toubkal, there are winter adventures to be had with a walk through the striking red rock gorges and cliffs of the Jebel Sahro range. Or you can take it easy on a gentle trek along Morocco’s picturesque Atlantic coastline ending in the attractive coastal town of Essauoira with its ramparts, harbour and busy medina. View all our holidays to Morocco. Away from its high-rise, high-tech cities, such as Tokyo and Kyoto, Japan is surprisingly mountainous with 80% of the country covered by tree-clad, mountain terrain. Sparsely populated, small villages are linked by a network of sacred trails, such as the Nakasendo Trail and the Kumano Kodo, providing ideal trekking opportunities. Along these scenic, ancient paths, once used by noblemen, clergy and even emperors on their pilgrimages, you will discover small shrines, waterfalls, tea houses, pagodas and traditional inns called ryokan and minshuku. Here you can spend the night, enjoying exceptional hospitality, hot stone baths and delicious local food. Alternatively, you can spend time walking on the beautiful southern islands of Kyushu and Yakushima where active volcanoes, black sand beaches, mystical rainforests and natural hot springs provide a very different landscape. And, by starting and ending your holiday in one of Japan’s frenetic cities, and travelling by bullet train, you will get to experience the immense contrasts that make Japan such an intriguing place to visit. 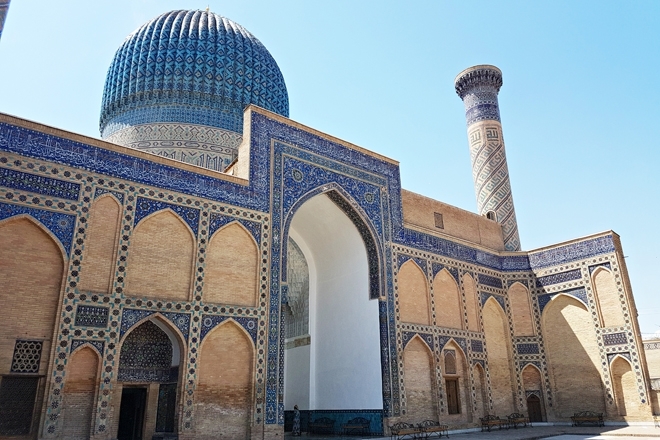 In the heart of central Asia, and along the route of the ancient Silk Road, Uzbekistan is a country full of fascinating history and rich cultural influences. These are best evidenced in the exceptional architecture and artisan industries of the great Silk Road cities of Khiva, Bukhara and Samarkand. Travel on a tour between these fabled cities and you will discover a perfectly preserved treasure trove of blue-domed mosques, wonderfully ornate mausoleums and madrassahs and intricately decorated towers and minarets. The cities are also great places to discover some of the traditional crafts of the Uzbek people including silk and paper making – little changed in their techniques over the centuries and still in use today. In between the cities, you will travel through the Kyzyl-Kum Desert, a hauntingly beautiful landscape studded with ruins of ancient forts and home to nomadic people and their yurt camps. Since Hiram Bingham first discovered the incredible Inca city of Machu Picchu, it has become one of the most recognised images in the world and a magnet for every visitor to the country. Despite its popularity though, Machu Picchu, never fails to impress due to its scale, state of preservation and its stunning mountain location, and it rightly remains the must-see sight for any visitor to Peru. The most thrilling way to see Machu Picchu for the first time is on foot – trekking along the classic Inca Trail or the Royal Inca Trail. Just a train ride from Machu Picchu lays the delightful mountain city of Cuzco, cultural home of the Quechua people and gateway to the Sacred Valley - a treasure trove of cultural sights and monuments that reveal Peru’s history from pre-Inca times through to the Spanish Colonial era. But there is far more to Peru than old stones! Rainforest, cloudforest, coast and high mountains provide an enormous variety of spectacular landscapes and a real trekker’s paradise. Beyond the Inca Trail there are Andean peaks to conquer such as Pisco Peak, there’s the gloriously technicolour Rainbow Mountain to discover and there are alternative trails to explore through the land of the Incas. In fact, with its wonderfully diverse scenery and rich cultural heritage, Peru is one of South America’s most appealing destinations. View all our Peru holidays. Ethiopia is a destination renowned for its extravagant wealth of historic treasures as well as the rugged beauty of its mountains. It offers an impressive selection of must-see sights, beginning in its capital, Addis Ababa, home to ‘Lucy’, the 3.2 million year old fossilised skeleton, famed for being the oldest and most complex hominid ever found and one of the reasons that Ethiopia is known as the ‘Cradle of Civilization’. Venturing away from the capital, Gondar and Lalibela are two of Ethiopia’s other ancient wonders. Gondar is the site of a dozen castles built by different emperors over 236 years, whilst the remarkable medieval rock-cut churches of Lalibela are one of Christianity’s most significant and unique landmarks. These are just two of Ethiopia’s nine cultural World Heritage Sites. 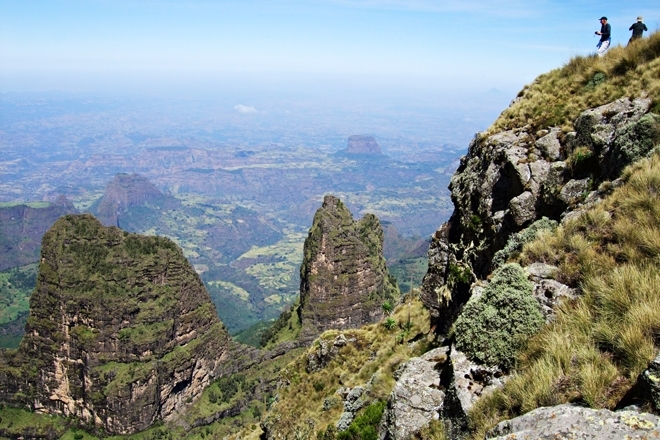 Another of Ethiopia’s World Heritage sites is the Simien Mountains National Park. The park offers great trekking through desert-like scenery and is also home to Ras Dashen, 4,550m/14,930ft, the highest mountain in Ethiopia. Within the park you can find a surprising amount and variety of wildlife, including the Geleda baboon, Walia ibex and Simien fox, there is also a richness of flora and some of the world’s most magnificent birds. All of these natural and cultural wonders can be explored on our two group holidays to Ethiopia. Despite its relatively small size, tropical Sri Lanka certainly packs a punch. Palm-fringed sandy beaches are perfect for relaxing, high tree-clad peaks make for some great trekking and the manicured tea plantations of the highlands are ideal for gentle, scenic walks. Along with its scenic attractions Sri Lanka has many ancient sights to discover as well as a vibrant living culture. The immense rock-top fortress of Sigiriya and the ancient ruined cities of Polonnaruwa and Anuradhapura are among its foremost World Heritage Sites whilst the remarkable Buddhist Temple of the Tooth in Kandy is both an important UNESCO site and a vibrant, lively centre of modern-day pilgrimage and worship. All these cultural attractions, within a relative small country, make Sri Lanka an excellent destination for a cultural tour. 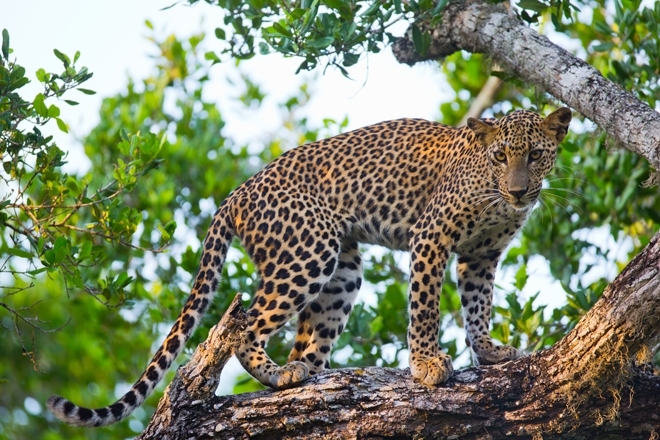 Sri Lanka also showcases a fantastic selection of wildlife. There are 22 National Parks in the country of which Yala is considered to have the greatest abundance and diversity of wildlife. Along with a huge variety of exotic birds, a game drive here may reveal elephant, deer, wild buffalo, crocodile and leopard. And, for those in search of bigger mammals, Sri Lanka has become known as one of the best places in the world to see blue whales off the coasts of Galle or Trincomalee, depending on the time of the year. See our Sri Lanka holidays. The magical region of Patagonia covers the southernmost tip of South America. The region straddles both Chile and Argentina with each country offering an array of striking landscapes and unparalleled walking and trekking routes. Both Argentine and Chilean Patagonia are filled with amazing natural wonders shaped by over 12 million years of glacial action. The Torres del Paine National Park in Chile and Los Glaciares National Park in neighbouring Argentina are both characterised by jagged rock towers carved from the granite of the Andean mountains, surrounded by ice-blue lakes and vast tumbling glaciers. Excellent walking trails exist in both parks to reach the best viewpoints and natural landmarks such as the Paine towers, the peaks of Fitz Roy and Cerro Torre and the immense Perito Moreno Glacier. At the southernmost tip of Patagonia lies the Tierra del Fuego archipelago – a wild and remote landscape where you can walk at ‘the end of the world’. It’s also the stepping off point for cruises through the Beagle Channel to Cape Horn or further afield to the Great White Continent of Antarctica. View our holidays to Patagonia.